The Embedded Systems Conference in Boston, MA is one of the largest advanced design and manufacturing events in the country. Here, hundreds of companies will showcase their developments that support the design and embedded engineering market. Interested in attending? Use our promo code: SPECIALTOT1 for free entry into the expo and 20% off conferences passes. NI Week is the perfect event for engineers, scientists, and industry professionals, as it offers various opportunities to learn about the NI software-centric platform for accelerating development and increasing productivity in test, measurement, and control systems, as well as discover the latest technological developments from various companies. This event is free to attend, so come and see our live demonstrations of our tools in action! 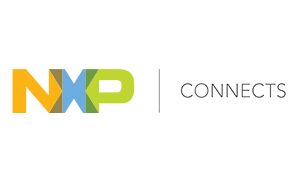 NXP Connects provides attendees the opportunity to immerse themselves in the latest embedded innovations, including secure IoT edge computing, self-driving cars and smart home technology, through technical sessions, live-demonstrations, panel discussions, and networking opportunities. Embedded Technologies Expo and Conference offers exclusive education and training within the embedded technologies space, including that of embedded systems, IT, connectivity, edge computing, AI, and machine learning. Use our promo code: E143 for free complimentary Expo Hall passes and $100 off of all Conference passes.